They have, shown act of indiscipline and cowardice by refusing to join the anti-naxal operation from Madanwada Camp, the court said while dismissing a batch of petition challenging the dismissal. Chattisgarh High Court has held that policemen who refused to join anti naxal operation, have committed indiscipline and there is no illegality in the order sacking them. Dismissing a batch of Writ petitions filed by the sacked policemen, Justice Prashant Kumar Mishra said that, it is not such a trivial issue of remaining absence from duty but it is one of the gravest act of indiscipline which undoubtedly called for immediate action against the petitioners. The court said that the order of dismissal categorically establishes that the petitioners remained absent during the period of fall-in at 9:00 p.m. on 10.08.2009 at Reserve Line, Rajnandgaon and also for falling-in at 2:00 a.m. in the intervening night of 10/11.08.2009 and absconded from the Reserve Line, thereby refusing to obey/comply the order passed by the superiors. The court also took note of the fact that, about a month back, before this incident, the naxalites had killed the Superintendent of Police. This fact, according to the Court makesthe act of disobedience or cowardice becomes more grave. 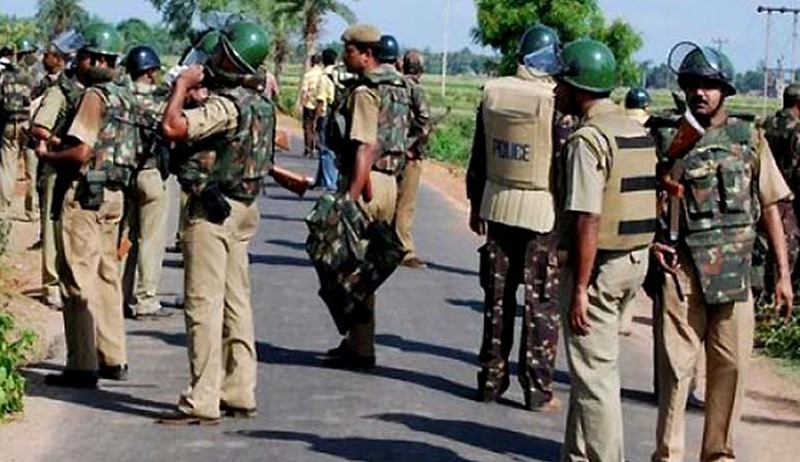 In a given situation, it may happen that the absconding members of Police Force may provide confidential strategic information to the members of public, if not the members of naxal group, thereby putting the entire force at risk, the court said. The court also said that combat with naxalite is like a war, wherein, the member of police force has to keep his self-confidence and willpower at the highest level. Otherwise, the force would be direction less and it will provoke/ encourage/motivate other members of service to indulge in similar act of indiscipline and if the chain reaction occurs, the force engaged in anti-naxal operation in all other districts of the State would tend to defy the orders passed by the superior police officers creating a situation where the public at large would be left at the mercy of the naxalites. It would have such demoralizing effect on the entire governance and rule of law that people may loose faith in the constitutional scheme of governance, therefore, it is not such a trivial issue of remaining absence from duty but it is one of the gravest act of indiscipline which undoubtedly called for immediate action, the court opined. The court said that the reasons assigned by the appointing authority in dismissing the petitioners are neither irrelevant nor extraneous and they emerge from the obtaining factual situation for which no outsider could have given any evidence. It is a case where interference is not called for even if two views are possible, although this Court has reached to the conclusion that only one view is possible, the court said.